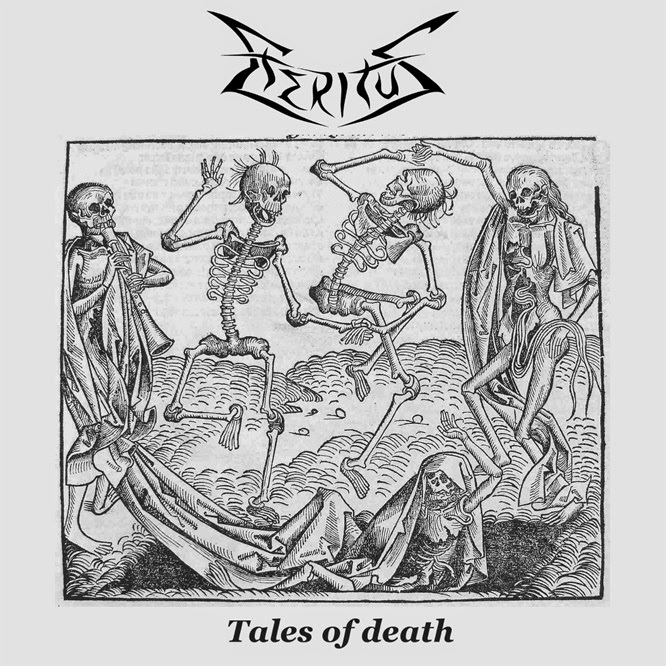 Polish newcomers Eteritus have already landed themselves on a label in their native habitat with their first release, an EP known only as Tales of Death. The three piece have gained a small following in their short reign, having formed only in 2013; are they headed on the right direction or could their EP see better days? Let's go ahead and find out. A brutally dark descent into modernized true old school death metal circa Grave, Entombed and Obituary, Eternitus have captured the ghastly essence of the genre with authentic ferociousness. One can almost smell the repugnant stench pervading the air as each track slithers by, the guitar crushing the ear drums of the listener chord by chord. Often the guitar carries the material by itself on it's broad fret board while Zimny hammers out some catchy riffs and constructive string bridges in "Elder God" that are made all the more tantalizing by the gripping distortion. The vocals are gruff, though cleaner than most growls of the genre and are respectfully reminiscent of L-G Petrov of Entombed. They provide their fair haul of captivating lyrics, especially during the all around stellar track "Land of Graves", which owns some of the most interesting compositions of the material. It's unfortunate that the drums are mixed so low that they're nearly non-existent, otherwise the content is nearly perfect. When not consumed with blast beats, the drummer focuses on tom-toms with some cymbals, hi-hats and bass kicks added in with tidal rhythms. A short but sweet EP that will most likely fall under the radar, which is the sad reality of so many great gems like Tales of Death. It's true old school death metal with the band's own unique twist, the guitarist even throws in some sizzling tremolos to spice things up. If you're able to get your hands on it, definitely check this one out if you enjoy Grave, Autopsy, Obituary, Entombed and other similar bands.